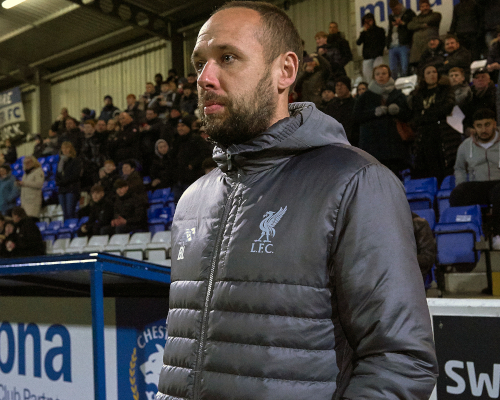 Barry Lewtas insists his high-flying Liverpool U18s will not underestimate the threat of Bury when they travel to Gigg Lane for the FA Youth Cup quarter-final tonight. 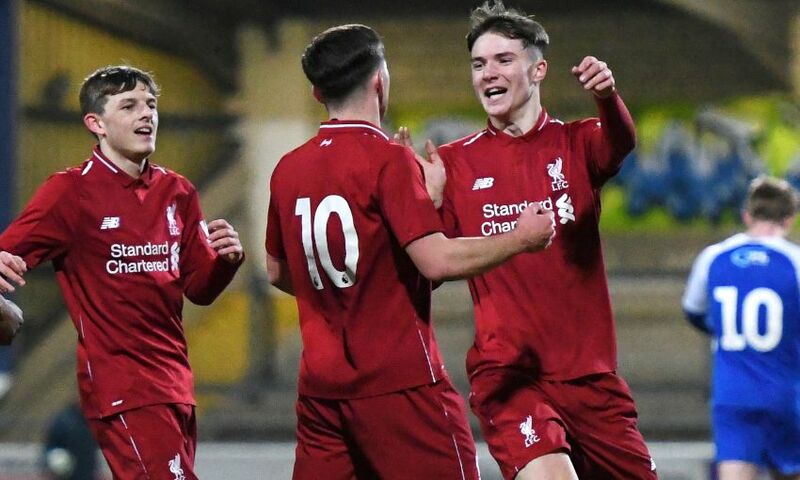 After overcoming the challenge of Portsmouth, Accrington Stanley and Wigan Athletic on home soil, the young Reds are set to play their first away game in the competition. A semi-final tie with Watford awaits the winners - and Lewtas is demanding his side don’t drop their high level of performance so far this term as they aim to progress. If you want to go to Gigg Lane and support the young Reds, kick-off is at 7pm GMT. Admission is £5 for adults and £3 concessions in the East Stand. We will have delayed coverage of the tie on Thursday on LFCTV and LFCTV GO. The scoreline shows a comprehensive win but it didn’t look like it was going to be that in the first 10 minutes of the first half and the same for the first 10 minutes of the second half. We started sloppily but credit to them as they started both halves strongly. I thought we showed good ability to wrestle the momentum back our way and get control of the game, we scored some excellent goals and we finished the game very strongly. It was great. We have got a nice sized squad and we have got boys who have been waiting patiently for their chance; we’ve said to them when you do get it it’s important that you perform to the best of your ability. On Saturday there was a number of pleasing performances and it keeps the boys who have been maybe seen as regulars on their toes as well. On the outside you would describe it as a nice position to have but when you are on the inside and you have to make the decisions it makes it a bit more difficult. We’ve got a strong squad and we’ve got a number of big games coming up, so if boys are not selected to contribute on Wednesday I’m sure their contribution will be valued in another important game. I’ve said to the boys in all of the competitions we have been involved in, as hard as we’ve worked to get to the quarter-final Bury have worked just as hard. We will certainly need to match their enthusiasm and we will need to be at our best. We’ll need to start the game well and whatever pressure they put on us we’ll need to withstand that and then try and impose the way we want to play and dictate the game. The boys have done ever so well so far. The Portsmouth game was one where they put us under pressure, they pressed us high and got two goals back before we showed some real good character to score the winner late on. Accrington Stanley could have scored really early on in the game, which might have made it a bit different. I knew how tough a game Wigan Athletic was going to be and it proved to be that way. We scored two excellent goals early on through Paul Glatzel and Bobby Duncan and that was probably the difference between the two teams on the night. We will need to start a lot better than what we did on Saturday that’s for sure! Listen, without downplaying it, every round for us is like being in a cup final. If you are sloppy, take your eye off the ball and don’t perform you will be out of this competition. As much as people will suggest this is a cup final for Bury, this is a cup final for us as well. We’ve been in a number of cup competitions this season and we’ve tried to treat every game as a cup final and that seems to have worked so far. We want to be in the semi-finals and we have to perform. There will be no complacency and we will certainly not be taking Bury for granted.